KFX je korejski program za razvoj sopstvenog aviona 5. generacije,po nekim navodima prilikom razvoja trebalo bi da saradjuju sa Amerikancima. South Korea is studying proposals from Western manufacturers for its KFX fighter programme, with the details of a feasibility study into an indigenously designed and produced fifth-generation aircraft likely to be released around the end of 2007. The programme, however, faces two major hurdles that could scuttle its development, say industry sources. The first is a likely 20-year gestation period, during which similar aircraft such as the Lockheed Martin F-35 Joint Strike Fighter are likely to become available. The second is a price tag of several billion dollars in the pre-production stage itself, which may make the economics of the aircraft untenable. 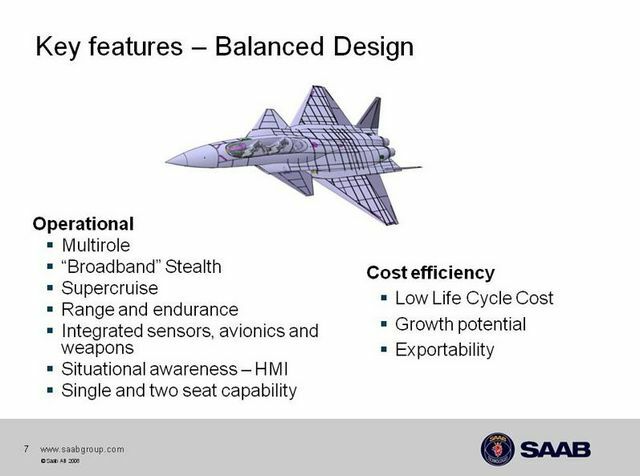 Presentations to the Agency for Defence Development from Boeing, Lockheed Martin, the Eurofighter consortium, Dassault and Saab focused on possible technology transfer and the potential market for the aircraft. The agency oversees the KFX, Korea Aerospace Industries, which has licence-produced the Lockheed Martin F-16 and jointly developed the T-50 advanced jet trainer with Lockheed, will be the main contractor and work with any Western partner. 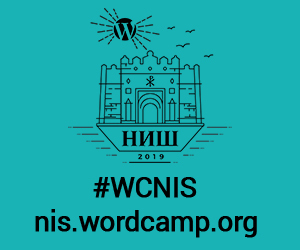 There is still much uncertainty over the programme, with one Seoul-based source saying: "Even the Koreans themselves are not sure what they want. The KFX is still not well defined." The Western manufacturers, however, are ready to lend their expertise. 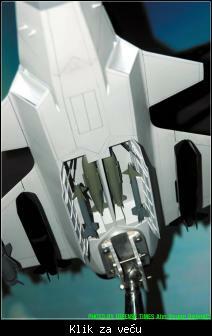 "Lockheed is very keen in helping South Korea in the KFX programme. We have helped Japan develop its F-2 fighters and Taiwan its Indigenous Defence Fighter in the past, and that shows that we have more experience in such programmes than the other companies," says Kim Yong-Ho, Lockheed's senior vice-president in charge of South Korea. 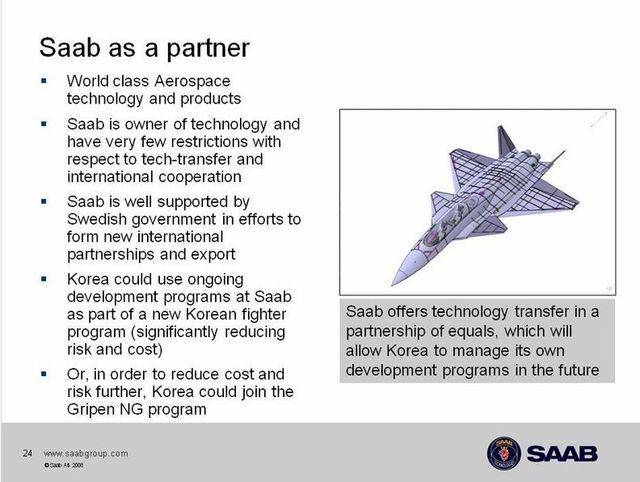 Seoul is keen in finding out about technology such as avionics, fly-by-wire systems, flight computers, and stealth capabilities from the companies. Sources say that it is targeting a single-seat, twin-engined aircraft with a total thrust of at least 40,000lb (180kN). 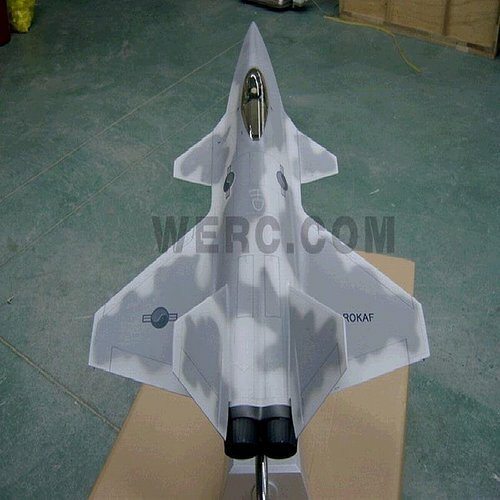 The agency is believed to have at least two concepts on paper, one resembling the Lockheed F-22 and the other the Eurofighter Typhoon, but a final plan is some time away. After the agency publishes its initial findings, industry sources expect a year or so of national debate before a decision is made. The agency hopes that the aircraft will be in service by 2020, but industry sources say that this is overly optimistic. "Why spend billions when the F-35 will already be in the market by the time you are done? Even export sales are unlikely, going by Japan's experience with the F-2 and Taiwan with the IDF," says one industry source. "If South Korea goes ahead, it is more due to national pride than anything else. Based on the cost and the amount of time it would take to come up with an aircraft, the KFX simply does not make sense." Takodje imamo i pricu da je SAAB nudio/nudi Koreancima razvoj lovca 5. generacije. Naleteo sam par puta na ovaj avion, uglavnom Amerikanci se cude sto Koreanci ne zele da kupe F-35 itd. I gledajuci njega i onaj kineski koncept, od kojih svi imaju kanarde, pitaju se jel' oni znaju nesto sto mi ne znamo... Mnogo mlacenja prazne slame, ali ovo nece skorije poleteti. Ne osporavam zavrsetak projekta, ali nece skoro. Automatska puška,zatim tenk i na kraju lovac.....svaka čest!!!! sledeći korak bi mogla biti podmornica ili prvo površinski brod. Ako pre toga ne nestanu u pečurki! Treba gledati i rešavati svoje probleme a ne tuđe. Za nas je strateška odluka da se priključimo ovakvom nekom projektu, potencijalno i onom japanskom, i da unapredimo svoju industriju. 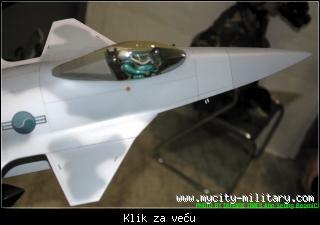 Ovaj korejac ima dva motora potiska oko 8000, što je neki ekvivalent onome što ima sada MiG-29. A to znači da nam odgovara kao višenamenski avion, u svakom slučaju mnogo više nego bilo šta što sada leti što će biti zastarelo za 5-6 godina (osim izuzetaka F-22 i F-35) pojavom PAK-FA. Način na koji su Ameri pridružili svom projektu F-35 kooperante i kupce, treba da bude pouka za nas kako da pristupimo pregovorima bilo sa Korejcima bilo sa Japancima. U odnosu na cenu kupovine višenamenskog lovca, dve trećine te sume možemo da uložimo u modernizaciju postojeće flote i kupovinu helikoptera, a jednu trećinu u program aviona pete generacije čime možemo da znatno podignemo konkurentnost naše industrije, ne samo vazduhoplovne. Oba aviona ce stici znatno kasnije (ako uopste budu bili napravljeni) u odnosu na F-35 ili PAK-FA. I meni oba deluju pre kao demonstratori. Za nas je strateška odluka da se priključimo ovakvom nekom projektu, potencijalno i onom japanskom, i da unapredimo svoju industriju. 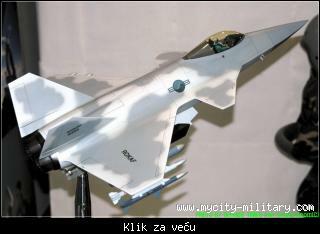 Jel ti to pricas o Republici Srbiji , koja je jedva remontovala 4 Mig-29 a za peti nema 3.5m evra da i njega remontuje, i ucesce u projektu vrednom N milijarde dolara ??? Sto se tice aviona mislim da ce ipak na kraju Koreja kupiti f-35. Juzna Koreja bi mogla da nastavi projekat zajedno sa Indonezijom koja je zainteresovana da udje u projekat. Novi tekst o saradnji sa Indonezijom. South Korea and Indonesia signed a memorandum of understanding (MoU) July 15 to jointly develop a 4.5-generation fighter jet with greater capabilities than those of the KF-16. Indonesia agreed to bear 20 percent of the development costs of the 5 trillion won ($4.1 billion) project over the next decade, according to South Korea's Defense Acquisition Program Administration (DAPA). South Korea plans to foot 60 percent of the bill, with the balance to come from other government or corporate partners. The two Asian countries will work together in production and marketing of the KF-X aircraft. Indonesia also agreed to buy about 50 KF-X aircraft when mass production begins. The agreement follows a KF-X letter of intent signed in March 2009 by South Korean President Lee Myung-bak during a visit to Indonesia. The MoU is "the reflection of our commitment and strong bilateral cooperation in the fields of defense industry," Eris Herryanto, the director general of defense facilities at Indonesia's Defense Ministry, said in a speech ahead of the signing ceremony here with DAPA Commissioner Byun Moo-keun at South Korea's Defense Ministry. "I'm confident that through signing this MoU on joint development of the KF-X Fighter, the outcome of cooperation shall be implemented at its earliest convenience," Herryanto said. "The realization of joint development, production and marketing will be finalized with our very own maximum of development capability." Col. Lee Jong-hee, director of DAPA's KF-X development team, said his agency is negotiating with Turkey and the United Arab Emirates on investments in the KF-X program. "There are two options on the table. One is to lure financial investments from other nations, such as Turkey and the United Arab Emirates," Lee said. "The other is to receive investments from Western aircraft makers wishing to participate in the KF-X." Boeing and Lockheed Martin of the United States, the European defense group EADS and Sweden's Saab have shown their interest in the KF-X program, which is linked to South Korea's F-X III fighter acquisition competition set for next year. 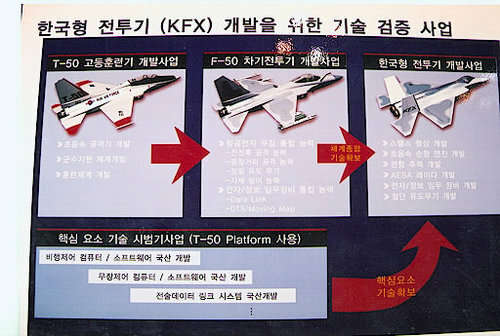 Under the F-X III program, South Korea plans to purchase 40 to 60 stealthy fighters. 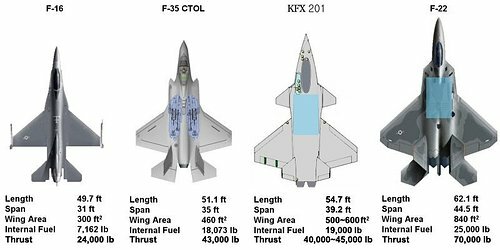 Initiated in 2002, the KF-X program was originally aimed at producing and marketing about 120 aircraft, stealthier than Dassault's Rafale or the Eurofighter Typhoon, but not as stealthy as Lockheed's F-35 Lightning II. Due to questions about the program's economic and technical feasibility, the South Korean government refocused the requirement last year to produce fighter jets on par with the F-16 Block 50 to replace older F-4 and F-5 aircraft. Key requirements for the KF-X include an active electronically scanned array radar, an electronic warfare suite, an infrared search-and-track system, super-velocity intercept and supercruise capabilities, and air-to-air, air-to-ground and air-to-sea capabilities. 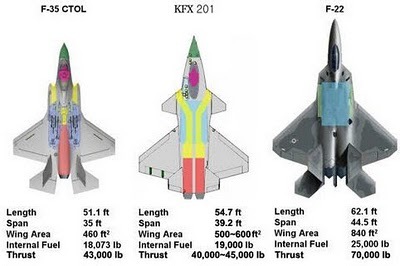 In the first 11 years of exploratory and full-scale development, about 120 KF-Xs would be built, and more than 130 aircraft would be produced after the first-phase models reach initial operational capability. Slažem se Ameri će ih stisnuti i uzet će F-35, no to ne znaći da projekt neće napredovati. 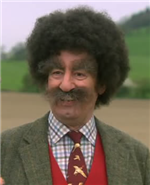 Kad se jednom sruši s. korejski režim j. koreanci neće više trebati Amere i moći će razvijati vlastito oružje za vlastitu upotrebu. Da se nadovezem na prethodni moj post. Pored Indonezije prve konkretne vesti od Turaka. Cha said the KF-X, which was initiated in 2002 but postponed due to financial and technological problems, will start next year with the consent of budget authorities.